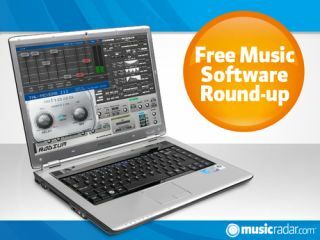 Ahead of the inevitable new software releases at this week's Winter NAMM Show, let's take a look at what the freeware community has given us this past seven days. If you need a VST plug-in host for live performance purposes, give this one a try. It supports up to four MIDI keyboards and each project can contain up to eight instruments and three effects. VSTplayer is free, though it'll slow down on startup after 15 days of use unless you make a donation to the developer. A 4-operator FM synth with a difference - namely that it's explicitly designed for anyone who wants to explore "the expressive possibilities of microtonal and xenharmonic music making". To this end, there are various microtuning features, while your sound can be shaped with envelope generators, filters and effects. The successor to TAL-Reverb II is a simple plate reverb plug-in that has an optimised GUI and an improved algorithm. The EQ section has been simplified and there's a meter display. The developer says that the sound is designed to be colourless and free of grains and artefacts. This v.1.03 update is noteworthy because it adds support for Mac OS X in the form of an AU version. The guts of the plug-in remain the same as before: Free Haas is a simple delay with just a couple of controls; the developer recommends it for those times when "you need a more natural sounding pan effect, more clarity in the centre of your mix, or just an interesting stereo VST effect". B.Serrano's latest free synth is a 16-voice, 2-oscillator subtractive model that also has FM capabilities. There's a filter (with its own CV sequencer), an LFO, an arpeggiator and an X/Y pad. On the effects front, meanwhile, you'll find auto pan, delay and chorus.